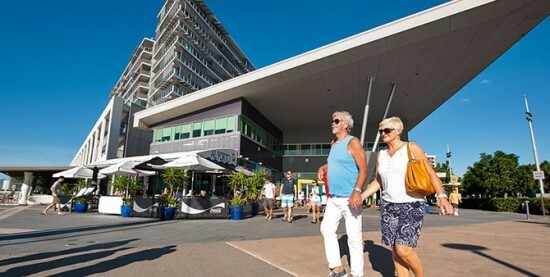 Half and Full day ferry departures leave from the Cairns Marina daily, with check in taking place at the Reef Fleet Terminal. 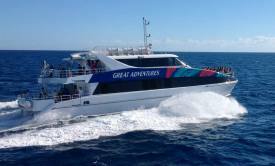 Ocean Free, the only sailing boat to visit Green Island, also departs from the Cairns Marina. Ocean Free is located at the A Finger Jetty, check-in is at 7.30am onboard the boat. Helicopter flights to Green Island available from the Cairns Esplanade. Cairns Airport is about a 10 minute taxi ride to the CBD but will depend on traffic and time of day. It’s very important that you give yourself enough time to get from the Airport to the Terminal to check-in for your scheduled vessel departure as the boats will not be able to wait. Check-in time is at least 30 minutes prior to your vessel departure time. 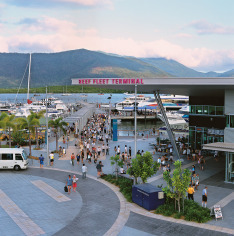 The Reef Fleet Terminal for catamaran transfer check-in is located at 1 Spence Street Cairns, which is just next to the Shangri-La Hotel at the Pier Marketplace. Coach transfers from your accommodation can be arranged or we would recommend taking a taxi. If you are staying overnight on Green Island and have your own vehicle that requires secure parking, we would recommend either parking undercover at The Pier or at the nearby Casino or Hilton, ranging from $20 per overnight park. 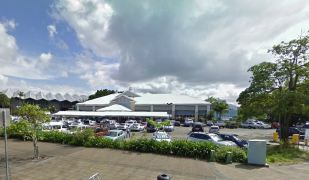 If travelling to Green Island as a “day tripper”, Council parking is available outside The Pier, or you can park undercover at the Casino or The Pier for about $10 for the day. 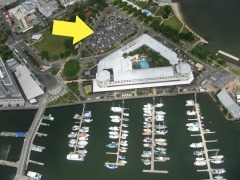 There is also all day parking at the outdoor carparks near the Cruise Liner Terminal on Wharf Street, about two blocks away. The tropical North Queensland city of Cairns is accessible from virtually anywhere in Australia by air. The Cairns International Airport services international and domestic airlines as well as general aviation and a number of helicopter operators. With its close proximity to South East Asia, it is little wonder that Cairns has the fifth busiest airport in Australia, with many international visitors choosing to make it their first port-of-call. Domestic flights travel to Cairns from all over the country including all capital cities, regional Far North Queensland and tourist destinations such as Uluru (Ayers Rock). 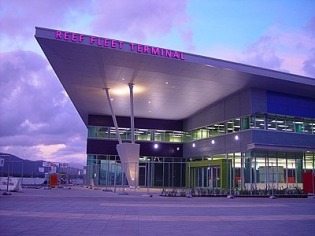 The Reef Fleet Terminal is Cairns main departure point for anywhere on the reef and islands off Cairns. The terminal is also the central depot for interstate coaches. 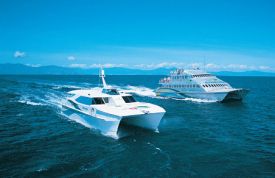 A ferry ride from the Cairns Reef Fleet Terminal Marina takes approximately 45 minutes. Only 45 minutes to the reef!